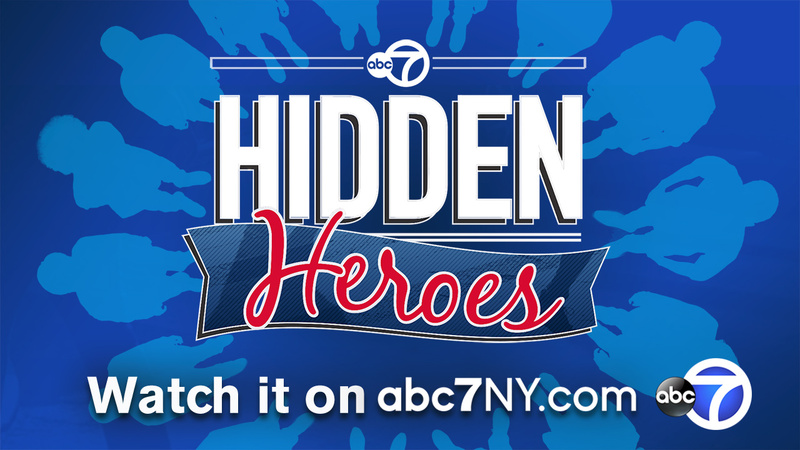 NEW YORK -- Join Eyewitness News Weekend Anchors, Michelle Charlesworth and Rob Nelson for a half-hour special "Hidden Heroes." The show profiles residents of the New York metro area who are doing good deeds in their communities, whether for entire groups or just one person at a time. Some of those profiled were nominated by friends and neighbors. Among those featured; a woman from Queens who works to revitalize low-income neighborhoods, an organization in Westchester that helps young people who've aged out of foster care to furnish their own apartments, and a blind art teacher in the Bronx who teaches students to not let their disabilities impact their creativity. From New Jersey, we'll meet a coach who inspires his disabled students to reach their hoop dreams. And from Long Island, we learn about a young lady with Down Syndrome who makes baskets for families who are welcoming a Down Syndrome baby into their lives. They are just some of the inspiring friends and neighbors whose efforts will make you feel good! Be inspired by some Hidden Heroes in our communities. Living in this city, you probably think you've seen it all, but maybe not so fast. Yeah. There is a dog that is creating artwork -- yeah, you heard that right -- on Long Island. And his paintings -- get this -- are being sold and making money, and the proceeds, though, are going to charity.